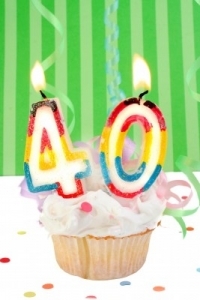 Turning forty can be a fun milestone for some or a dreaded marker for others. Regardless of the birthday person’s outlook on this monumental year, a party or some type of celebration almost always ensues. When coming up with 40th birthday ideas for your loved one or friend, why not make them fun and exciting? Help them to welcome their new age with fun and creative ways to celebrate, both big and small. Is your birthday person a music lover? If so, why not create a customized music CD with 40 of their favorite songs? Shower your birthday guy or gal with forty presents! They can be a mixture of small things they’ll love (like their favorite lotion) with larger items (like dinner from their favorite restaurant). Does your family keep a ton of photos around? Make a small scrapbook with forty pictures throughout the birthday person’s life thus far. Make sure to capture some really memorable times and memories and write comments below the pictures. Write down 40 funny memories you have with the person of honor and read them aloud. Send them forty of their favorite flowers. Throw a big celebration with all their friends and family. Ask them how they would like to celebrate their birthday. If you take the time to think about your birthday person and what they would truly like to do for their 40th birthday, you won’t go wrong. Just remember to make it fun, thoughtful, and most importantly…all about them!